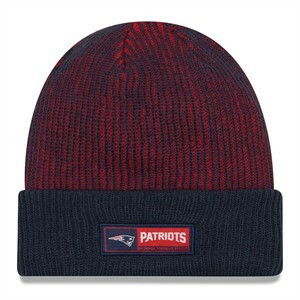 New England Patriots authentic New Era On Field Sports Knit cap or hat, navy blue and red with logo patch. BRAND NEW WITH TAGS, NEVER WORN. Original suggested retail price $24.99. ONLY ONE AVAILABLE FOR SALE.